In April, Healthwise Ottawa published an article I wrote about music, connection and well-being. In it I mention how music helps me to connect with my mom despite her years of dementia. I miss her, the her I once knew. 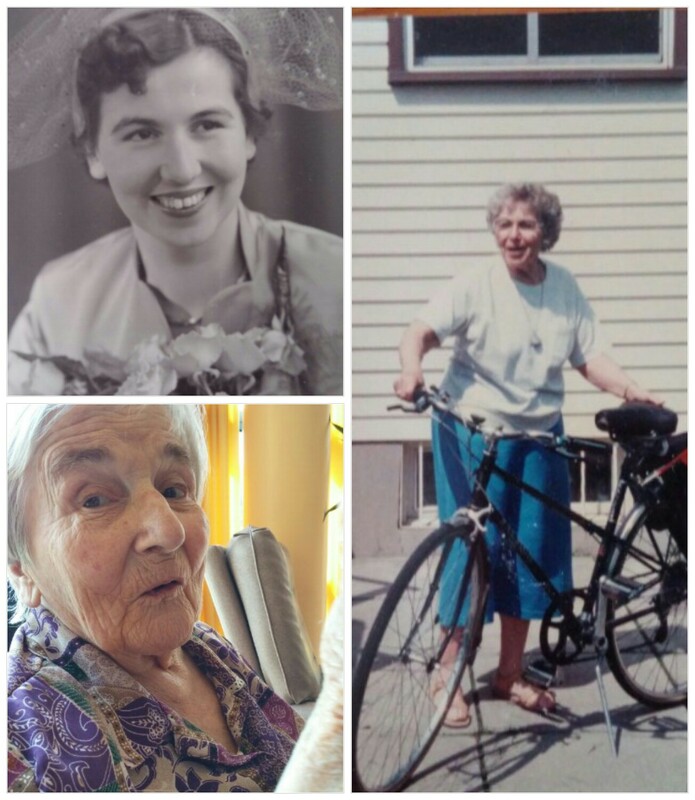 I miss the fierce defender of the downtrodden, the “cycling peddler of hope” (as the director of the Children’s Aid Society christened her years ago). I miss the woman who loved nature and connecting with people, especially us, her family. In between the missing moments, though, I occasionally feel the essence of her. It might be a mischievous glint in her eye, or the strength of her hand on my arm or her warm chuckle and smile as she tells a story only she can follow. I keep my Mama Dickie, as she was lovingly known by many, alive inside by noticing ways she has shaped and influenced me. I often find myself sharing with friends moments of her incredible wisdom. She had a way of seeing people and the world that helped you to see more. Case in point: she was probably an unconscious guide in this past week’s events. On Wednesday, while performing at an event for the local Writers Festival I’ve helped organize, I spontaneously took the moment to publicly declare that after the festival I intend to back off (i.e., balance) some of my hyper-volunteering ways. 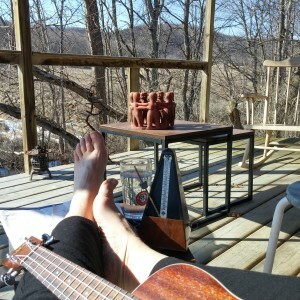 I need and want to create more space for songwriting and other creative pursuits. By saying this out loud, with witnesses, I hope to be more accountable to this vision. I have since received a lot of encouragement. I interpret this as a good sign! As does how it feels inside to name my intention, my desire, with conviction. Two days later I was invited to share a few songs at a fundraiser. Since my vision of music includes performing for fundraisers, this feels like a perfect “living aligned” moment: an opportunity to bring both my music and my volunteering values together! “Both-and” thinking I first learned from my Mom. Love you Mom. I’ll come sing with you soon. Beautiful tribute to your mother Linda! And yes, bravo again for declaring publicly your commitment to step back. Beautiful piece in Healthwise Linda, a rich and poignant insight into the power of music, especially when words fail – thank you for this. Also happy to hear you are going to give yourself more creative time for your songwriting and artistic pursuits. Look forward to following your journey into that realm. Hello Lisa! How lovely to hear from you. Mom always spoke fondly of you! Though it has been a long time that Mom doesn’t know any of us, I still enjoy what ‘in the moment connection’ I have with her. I will tell Dad about your message. I think it will warm his heart that you were in touch. Take good care of yourself!